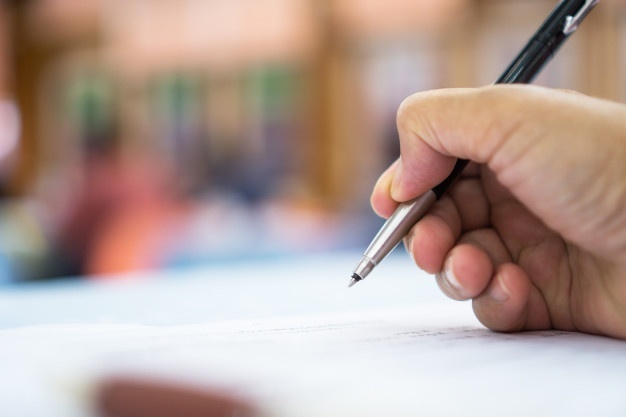 As a professional, you probably understand the importance of reading and understanding all parts of a contract before you even consider signing it, but there are still a lot of people who do not see the importance of being completely aware and informed before signing documents. If you are stepping into the modelling industry and about to sign your first contract, you are probably very excited and eager to begin the process. However, you need to understand the document you are signing so that you do not end up in a compromising position or signing clauses that may negatively impact your career a few years down the line. It is ideal to have an expert in the field review your contract with you, or hire a lawyer for this purpose if you can. Below, we cover a few basic concepts you will need to get started with signing your modelling contracts. There are a lot of basic similarities in most modelling contracts, but you will notice that the fine print and the deeper details are almost always kept confidential. The contract will ideally include details about the earnings, the distribution of earnings between the model and their agency, the working hours and the contract length, the exclusive nature of the contract or lack thereof, and so on. The responsibilities of all parties should be clearly stated. If you feel that facts are missing, ASK! Do not hold back during this point since it is crucial for the way your modelling career will proceed over the following years, and finding mistakes or omissions at a later date can be catastrophic. Make sure your contract explicitly states all major details before you even consider signing it. The type of contract you are entering into is also an important point that you must understand before signing. There are many different contract types, and each of them comes with their specifications and necessities. Getting a clear idea about the kind of contract you are signing will prepare you for all future activities. Keep in mind the term ‘Mother modelling agency’ since this is the agency that helps you first enter the modelling industry. It works on explaining things to you, getting you on your feet, promoting you to other agencies in the market, and essentially kick-starting your career. The mother modelling agency earns by finding such fresh talent for international modelling agencies, and hence you would do well to stick to one from the beginning of your career that you trust, and that can protect and defend you as and when necessary. The next thing to understand is the difference between exclusive and non-exclusive contracts. Models who work for editorials usually sign exclusive contracts. They are usually restricted to being represented by a single agency in that specific market, and cannot change that during the agreement, which may be anywhere from 1-3 years to a much more extended period. This means that they have only a single agent in a specific area, and must stick to their procedures and rules. On the other hand, commercial models usually have non-exclusive contracts since it is better for their careers. They can work simultaneously with as many agencies as they choose, provided there are no conflicts of interest between various parties or their personal contracts. These contracts offer more flexibility, even though it may reduce the amount of bonding and dependency you have with the agencies. These few terms should be enough to keep you confident when you begin signing your contract. If there are any clarifications to be made, do them before you sign. If in doubt, consult professionals. Always make sure you are entirely satisfied with the entire contract, and there are no compromises you will have to build on your end. Good luck!